This entry was posted in Uncategorized and tagged city, county, cuts, opinion. Bookmark the permalink. 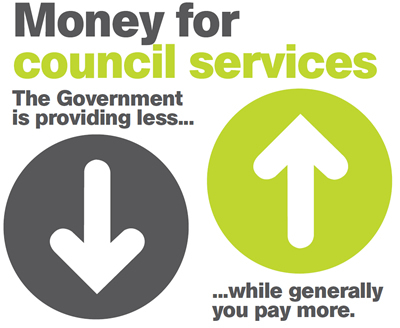 All these cuts yet a quarter of our Council Tax goes to prop up Town/County Hall Pensions. Don’t see this figure getting cut. All in this together? Yes they are aren’t they?